I was looking in all the usual places to see what fun things were happening in the Montgomery Area in the next few weeks, and I came up dry. Now, wait a minute. Isn't that the purpose of this post? To show all you locals that there ARE fun things that can be done in Montgomery? Let's see...I started at the Montgomery Advertiser. There are a few new plays at ASF opening up. Then I looked to Montgomery Parents Magazine this is such a great guide...I love all the advertising, that is how you find the fun new shops in town. Well, all they have on their calendar is the Prattville City Fest on April 30th and May 1st. Admission is $1-$2 dollars. So I googled Montgomery, Alabama, and I arrived at Montgomery Area Chamber of Commerce, Convention & Visitor Bureau. Perfect! I always check out the "official" sites when I am researching vacation cities, and our site does not disappoint. I was quite amused to see that the 2 day Family Itinerary reads like I wrote it. All the things mentioned are things that I do with out of town family when they come to visit. Here are the "official" suggestions. So there you have it. A weekend full of fun. I blog here and you should drop by and see all the fun things going on in my world. My name is Andrew, though I go by Drew on my blog because I wanted a way to differentiate between normal emails and blog emails. [Aside: Most of my friends from high school call me Drew too.] I started Okra Cola in September 2009 and promised myself if I still had posts in my head, and people (at least a handful) reading them by 2010 I would actually do a custom layout, header and URL and so I did. I started blogging because I work with many northerners (and "otherners") and they often talked about how different our cultures are. I would then explain things to them and while they were still confused, they sort of understood better. That's what I try to do, explain what we do and why we possibly do it; even though most of us have been doing it for so long that we only do it now because we don't do it any other way. I guess I could be considered an apologist of Southern culture, spreading the gospel of Southernisms to any part of the world that cares to listen. I also blog because I love when people comment, email or contact me via Facebook or Twitter to say they connected with a post I wrote. That feels good. I'm a musician and a ham and love to connect with people on any level I can. I have spent most of my time in Walker County, with stints in Tuscaloosa and Hoover, both lasting fewer than 5 years each. I am married to my high school sweetheart (though we went to different high schools) and I have two daughters that I'm raising to spot Southern gentlemen, and am doing my best to teach them how to avoid those who are not. 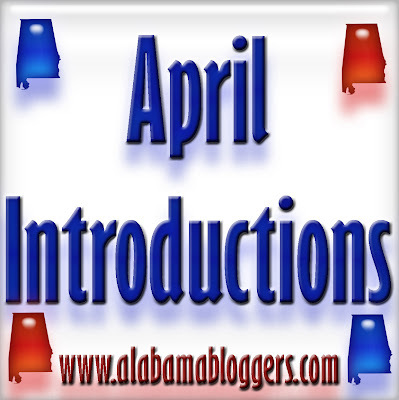 If you'd like to be featured during April Introductions, email me at rachel@alabamabloggers.com. Driving along Alabama Highway 21 through Calhoun County, you might see one of those historic marker signs on the corner of 18th Street. It almost gets lost amid the intersection with a McDonald's and other fast food joints. 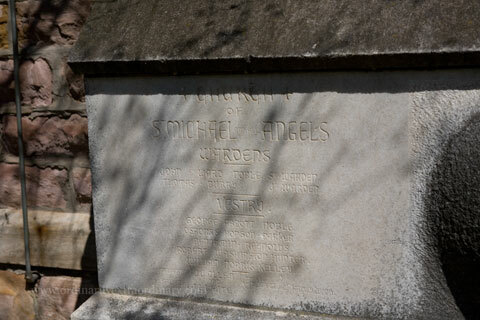 Having grown up in Calhoun County I often noticed the sign pointing to the west to St. Michael's and All Angels Church. 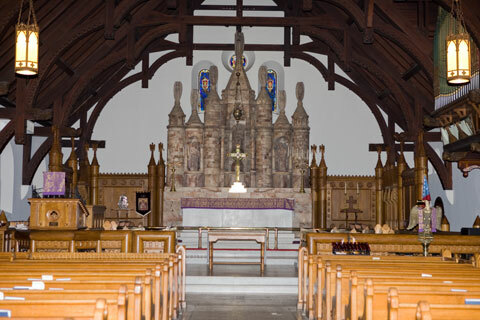 I had often heard of its historic place in our county and how beautiful of a church it was. So many times I passed that historic marker sign on the corner of Hwy 21 and 18th Street. Always saying "I need to go visit and see for myself." Never really slowing down to actually visit. So in March when I traveled back to my home county I made it a point to visit. Driving west along 18th Street through a part of Anniston that seems almost forgotten I came upon the historic church on a glorious spring day. 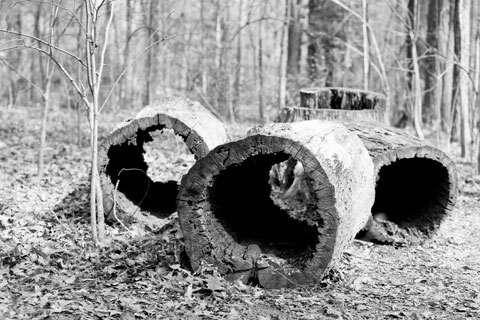 The Tyler and Noble families founded Anniston, establishing an iron works industry after the Civil War. 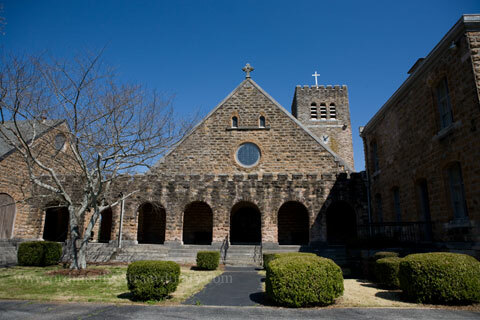 When immigrant families began settling in Anniston to work in the mills and other businesses it became apparent that Grace Church, the first Episcopal church in Anniston, could not accomadate all the new families. 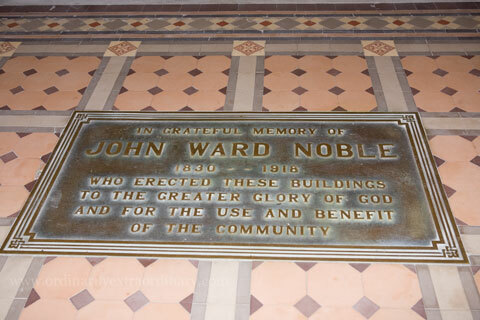 In 1887 John Ward Noble petitioned the Bishop of Alabama to organize a second parish. 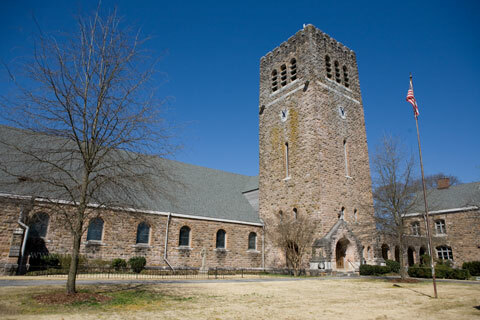 On St. Michael's Day of that year the parish was formed and architect William Halsey Wood was retained and ground broken and the cornerstone laid in 1888. 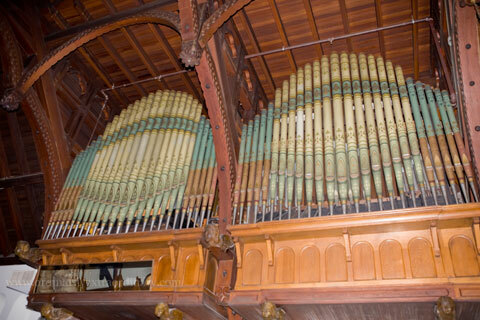 In September 1890 the church was consecrated. The church remains as a gift to the people of Anniston. 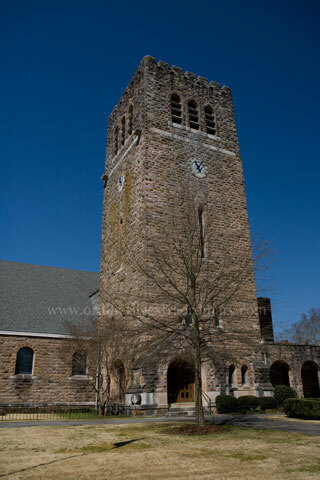 The tower of the church is reminiscent of chuches in the Noble family's native Cornwall, England. 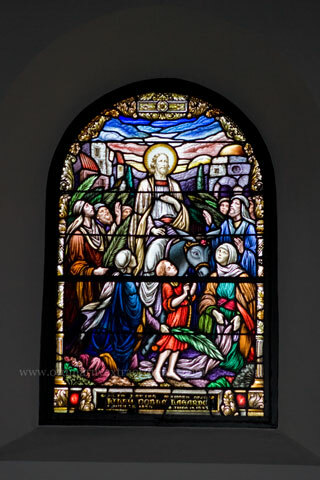 Beautiful stain glass windows grace the walls of the church as well as an amazing pipe organ. 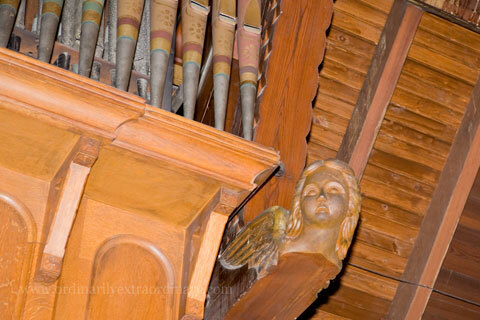 The woodwork is graced with wooden carved angels . So if you're ever in Anniston and have a few moments turn west on 18th Street and visit the church. It truly is a beautiful church. The church is open daily from 8 a.m. - 4 p.m.
April Introductions: The Organized Homestead. I’d like to welcome my fellow bloggers to my newest blog, The Organized Homestead, written while the chickens scratch and the squash seeds try to pry their way through the hugging red clay. I’ve written several books [inspirational books for women mostly] and continue to write and speak and love meeting readers. My husband and I live on the south side of Mount Cheaha where not many visitors find us but we’re never low on bugs. I hope you’ll visit me at The Organized Homestead or my site here about books and stuff, Karon Goodman. Thanks for reading! Hello! I'm Amy of Ordinarily Extraordinary. I began blogging in the Fall of 2006 mainly to share my scrapbooking and share our lives with our out of town family. I live in a very small east central Alabama city ,that feels more like a small town, where my husband grew up. I spend my days being a mom to our son, running my part time photography business, substitute teaching, and enjoying all crafty and artistic hobbies. I was born in east Alabama and grew up among the Appalachian foothills near Jacksonville, Alabama. I am proud to call Jacksonville State University my alma mater. I titled my blog Ordinarily Extraordinary because if you look extraordinary things happen even in the most ordinary of lives. Most of the time these are just normal, everyday aspects of our lives. A child's excitement over a caterpillar. A beautiful rainbow appearing. So many extraordinary things we overlook. My blog is a reminder to myself to slow down and remember these extraordinary moments. Now 3+ years later I still share my scrapbooking, but also book reviews, my photography, photo a day project, art and painting, other crafty endeavors, recipes, small town life and anything else that strikes me. I also write here on Alabama Bloggers bi-weekly about the people, places, & experiences that I find extraordinary about Alabama. So come visit me at Ordinarily Extraordinary and leave me a comment. I love finding new blogs and discovering extraordinary people and places about our state. So there are a few fun things going on in Montgomery in the next few weeks. Also, the weekend of the 18th is your last chance for a Day out with Thomas in Calera. The annual event at the Zoo! There will be entertainment, games and animals. Everyone can enjoy the many activities, fantastic food and have fun together at an affordable price. Pratt Park Amphitheater behind Stanley Jenson Stadium. Free fun for the whole family…Enjoy games, music, food & much more! The Prattville Model Boat Club will demonstrate remote control boats at Pratt Pond from noon until 2 p.m. Call 334-361-3640 for more info. There is also Old Alabama Town. Now is the time to take a walk thru the past (before summer gets here and its too hot to breathe!) And our very own Montgomery Museum of Fine Art. They have a small kid area that is sure to entertain your munchkins for at least an hour! I blog at here and you should drop by and see all the fun things we did at our week in Gulf Shores...a great thing about living in Montgomery is that its pretty close to everything, Atlanta, the beach, the mountains...its not such a boring town. Three years ago, I barely knew what a blog was. Now I'm pretty much a blog addict. 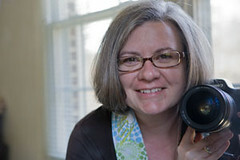 As an introduction to my blog, Southern Hospitality, I'll just tell you all a bit about myself. We moved here from Atlanta about 4 and 1/2 years ago and I have fallen in love with Birmingham. It's a small Southern city, but plenty big with enough excitement going on and I sure don't miss that ATL traffic. I love, love blogging and started my blog 3 years ago on a whim and now it's grown to be much bigger than I ever anticipated, but I love it as much as ever. Blogging has really opened up my world and it has been so much fun to connect with everyone out there in the blogosphere. I'm a big DIYer and love home projects and decorating and that's what you'll see a lot of on my blog. I spend a lot of time going yardsaling and thrifting, bringing home all sorts of treasures, redoing them to fit my house, so that's a lot of what I share on my blog. I also share recipes, travel around the South, and a bit of gardening and just life in general. Every Monday, I host a Thrifty Treasures party for everyone to show off their found treasures. My hubby has a 91 year old Grandma Eleanor and she's part of my stories too and is a big hoot. Everyone seems to love Grandma Eleanor posts and I even do videos of her. So, if you love making your house a home and love thrifty decorating, I think you'd enjoy stopping by for some Southern Hospitality! 1. Red Mountain Music is about to release their final album, which I am deeply saddened by, but in anticipation of their last recording, they are giving away free downloads of one of their best albums, Help My Unbelief. It's a fantastic album, and I highly recommend checking it out! 2. The NCFCA (National Christian Forensics and Communications Association) will be hosting their National Qualifier Speech and Debate Tournament at First Baptist Church of Birmingham on Lakeshore Drive on April 28th - May 1st. The NCFCA is a National Speech and Debate organization for Homeschooling Teens. They are in need of many community judges to participate in their event. I have judged the last several years and have thoroughly enjoyed it - it's completely fascinating to be a part of - and totally impressive. You don't need any prior experience to be a judge. If you would like to volunteer to be a community judge at your time choice and subject matter choice, go to this website. I highly recommend participating - you will be amazed at how interesting, intellectually stimulating, and hilarious their speeches can be!! How about you? Anything going on that you want to share? I've been blogging almost two years, and I post about the thing most important to me... family. A Simple Life is divided into five sections. In the midst of all the "regular" topics, I blog about my family, my son's OCD, my own panic attacks, my first son leaving for college this past year and surviving a house filled with teenagers and friends. I have contests, monthly Special Guests and a ton of other "stuff" weekly on A Simple Life. 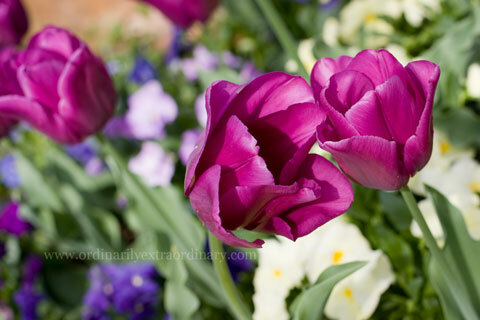 I started a second blog called Belinda's Project 365 in August of last year on my 48th birthday. I have documented this past year with a picture a day (and will continue to do so until my 49th birthday rolls around). It has been fun recording this year in such a unique way. 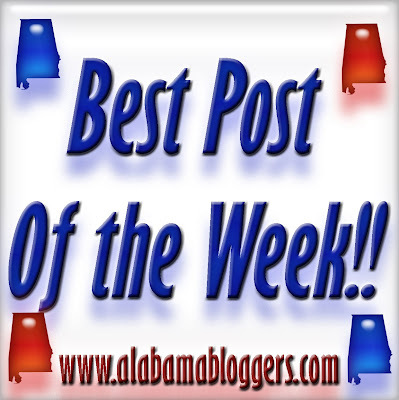 I'm learning how to use Alabama Bloggers as I go. It's a great idea. 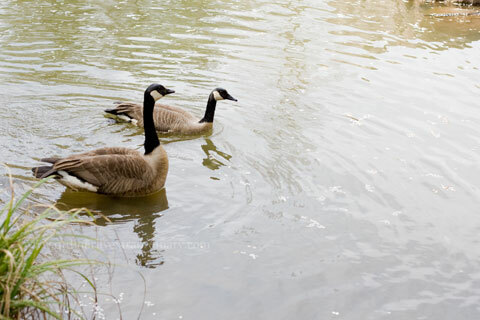 One of our favorite places to visit when we make a trip to Birmingham is the Birmingham Botanical Gardens. 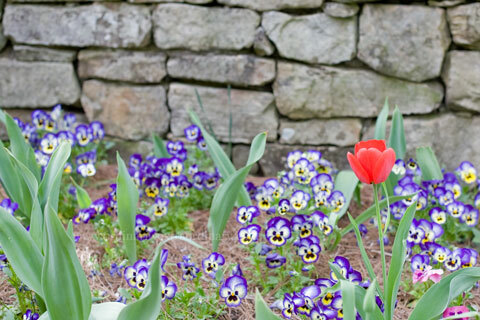 When the flowers are blooming it's impossible not to be inspired and amazed by this extraordinary jewel of Alabama. A tranquil haven amidst the busy city, the Gardens have places to sit and read or trails providing a bit of exercise. 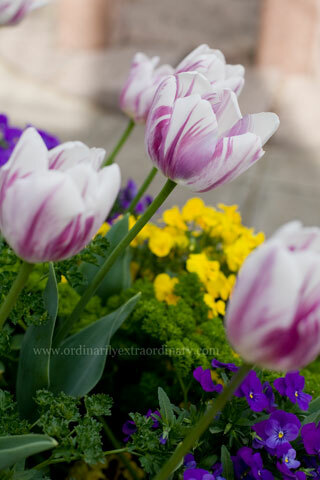 Spring is especially beautiful at the Gardens. 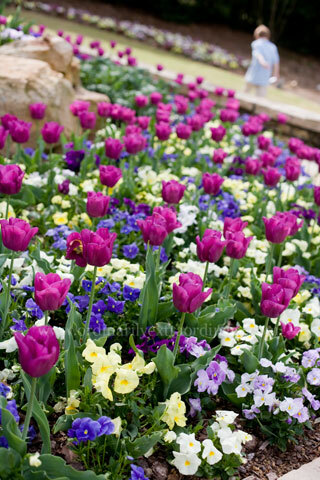 Masses of tulips and pansies display their colors. 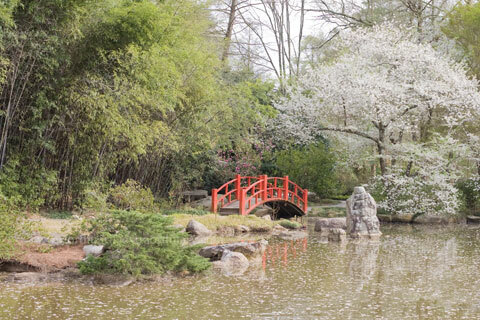 From the trails through the Alabama Woodland area to the Japanese Garden there is so much to enjoy. Bring a picnic for a peaceful lunch or spend a couple of hours exploring the many trails and gardens. 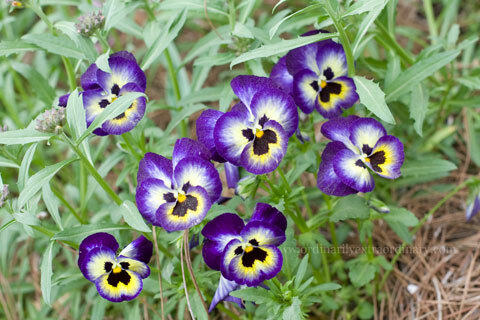 Visit their website to see what's in bloom. You can also follow them on twitter to keep up with the latest happenings. I resisted the term blogger for years. I was a writer. I was a journalist. I was not, however, a blogger. But I've grown to appreciate the role of bloggers, and I tell people I blog for a living. I am a proud Alabama blogger. I write all the time. Sometimes, it escapes onto my blogs, but often it ends up on Facebook or Twitter. I plan to marshal these paragraphs into a longer format this year, but only when I can get away from blogging and microblogging and other stray writing. As an Alabama native, I have found storytelling to be a part of me. It's why I write. It's why I worked in journalism for decades. I'm proud of my hometown of Birmingham and want to tell the world at large what's happening here. That means accomplishments as well as setbacks. And I hold myself to these same standards. Sometimes, I succeed. Sometimes, I fail, badly. Mostly, I like to share funny tidbits, wry observations and thoughts on a state behind the times. On rare occasions, I am better in person. 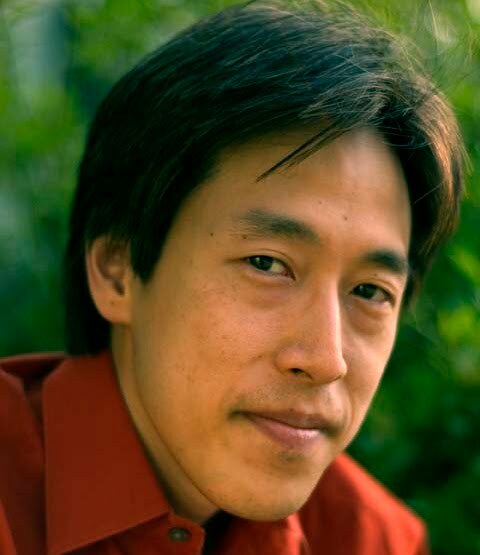 The introverted writer steps out of the shadows to meet fellow residents. I'm grateful to Alabama Bloggers for providing such a community to share, to ask and to laugh. It's a community I hope to mimic on my own blogs with each passing day. We had our meet-up today at Jason's Deli in Hoover (where they have free ice cream - always a good reason to go there), and had a great time! We had 10 people and 3 kids that joined us. For those who were there and would like to find each other, link up below! I discovered blogging just over a year ago but it feels like I’ve been doing it forever. I now publish 3 blogs, this one, another that is associated with my online thrift store White Oak Attic and my marketing consulting business How 2 Marketing Advice. All three of these continue to be works in progress as I try to establish a course for myself in moving away from the status quo. For practical purposes I blog to share what I’ve learned, stimulate interest in the same things I enjoy so I can find kindred spirits and finally simply because I enjoy it. I’ve discovered I really love to write. I’ve always been a blabber-mouth, chattering on incessantly about whatever topic came my way and I suppose blogging has become an extension of that and now people have the option of shutting off the flow without my ever knowing it Everyone wins, I get to prattle on and any who have lost interest don’t have to resort to hurting my feelings to escape the flow. Occasionally, someone might actually benefit from hearing about something I found or some mistake I’ve made (usually the latter – I’m especially gifted at goofing things up and have lots to share on that topic). To sum it up, blogs are just a very convenient way to be social. In this blog I write mostly about things I think about, random notions that fit in with what I perceive to be a general shift of society in general to get back to the basics of really knowing other people without the facade of the little shows we sometimes put on and the efforts made to keep up with neighbors or copy each other to fit some kind of mold. Businesses are beginning to discover that people want to get to know the people behind the branded image, the shiny glass and the pressed, freshly laundered appearance of executives. I sometimes write about my own efforts to re-shape my own life. In my online thrift store blog, I write about collectibles I’ve come across and share the information I discover in researching items I’ll offer for sale and the collectibles I keep. I have built the store around my hobbies and interests. I have always enjoyed rummaging around at estate sales, yard sales etc and this is a creative outlet that also brings the experience to the convenience of home. Other people will now be able to participate with me and maybe find a treasure or two while they are at it. I also include my genealogy research here with a category of posts devoted to an old coal mining town in West Virginia that is connected to most of my recent family history. I’ve found my genealogy buff friends also enjoy collecting vintage goods and antiques so it is a nice blend. My little online attic is also growing into an old general mercantile of sorts that will offer new merchandise that is unusual, has a vintage impression about it or is just something I found that I like. Finally, my marketing blog. This was born more out of my career path. I was selling advertising for print publications for the past 15 years until I lost my job this past October. Having noticed the trending decline in print media sometime ago is what prompted me to start White Oak Attic a couple of years ago and when I did that I discovered an amazing new facet of marketing – Internet Marketing. This is a bit different than the traditional business community is accustomed to and I found most of the business owners I was in contact with everyday could really benefit from some of the techniques being used by Internet Marketers. Add to that Social Media and the whole changing landscape of marketing in general and I found I had a good niche for myself in communicating things I’ve learned first hand about marketing businesses online using these tools. So there it is, the story of another Alabama Blogger. If you want to see some others you should visit the website of yet another Alabama Blogger who is bringing us all together to meet and commiserate, collaborate and just enjoy each others’ company this coming Friday, April 2nd at Jason’s Deli in Hoover. I would love to see you there, visit Alabama Bloggers for details. go here to do so!